Home / Browse By Product Categories / ultra sensitive system Welcome visitor! 40% of Americans report some form of sensitivity — acne, rosacea, contact dermatitis, burning, itching, etc. The common issue with all of these skin conditions is inflammation. 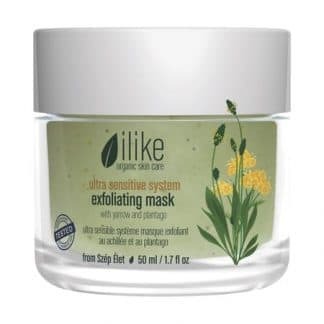 The ilike organic skin care Ultra Sensitive System is a group of essential oil free and BDIH certified organic products with key ingredients Yarrow and Plantago that provide highly anti-inflammatory, calming, soothing and vitalizing solutions. The third key ingredient Grapeseed supplies and strengthens the skin with powerful antioxidants. All of the ilike Ultra Sensitive System products have been tetsed by dermatologist on the most sensitive skins.